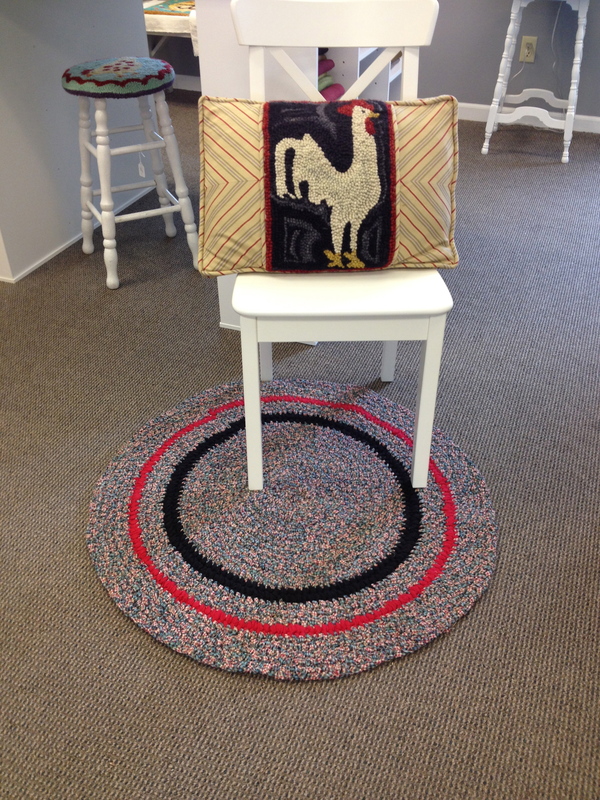 Rag rugs are a wonderful way to use up, reuse, or repurpose fabric. Twining rugs is another way to create a useful rug from otherwise “stashed” fabrics. We all know about the bits and pieces left over from larger projects. 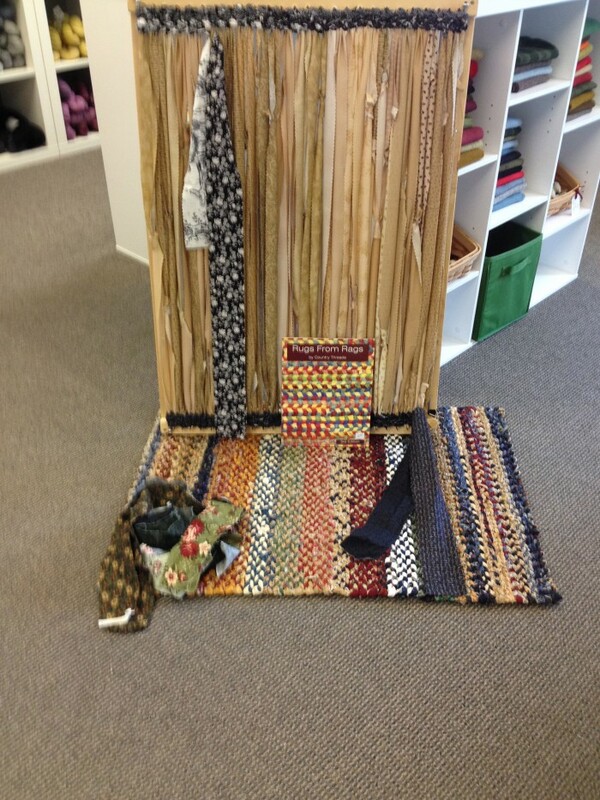 Pictured are rugs made from fabric using a twining frame to “weave” a rug, or using a “toothbrush tool” to crochet a rug. The end results are beautiful, durable, and makes one feel good that the stash is smaller….up to 15 yards smaller! We have the frames, the tools, the instruction book, the DVD or we offer classes to get you started. Stop in the studio and check it out.